Classical swine fever (CSF) (hog cholera) is a highly contagious disease caused by a pestivirus that is closely related to the virus that causes bovine viral diarrhoea (mucosal disease) in cattle and border disease (hairy shaker disease) in sheep. It often causes fatal disease in pigs and wild boar. The disease is similar to African swine fever, although they are caused by different viruses. Both diseases only affect pigs and are exotic to Australia. People are not affected by African swine fever or classical swine fever. A chronic form of classical swine fever was successfully eradicated from Australia in 1962 after waste from ships was fed to pigs. Classical swine fever currently affects pigs in Asia, some Caribbean islands, parts of Mexico and much of Central and South America. Infection has been found in wild boar in eastern Europe. In September 2018 it also re-emerged in Japan, 26 years after the last reported case. What are the signs of classical swine fever? Classical swine fever is indistinguishable from African swine fever. The severity of signs varies depending on the strain of virus and the level of immunity of the pig herd. Because Australian pigs have no immunity, signs of these diseases may be more severe if introduced. However, there is also the potential for a chronic form of the disease, which may present with reduced productivity and signs representative of other common pig diseases. How does classical swine fever spread? The most likely way that classical swine fever would enter Australia is via feeding illegally imported pig meat or other pig products to pigs. The disease then spreads between pigs through contact with faeces, urine and other discharges or through use of contaminated equipment, vehicles and clothing. To prevent classical swine fever, African swine fever and other serious diseases, such as foot-and-mouth disease, it is illegal to feed pigs anything that contains meat or meat products, or food that has come into contact with meat or meat products (except approved feeds). To find out more information see the webpage on pig feed. How can I reduce the risk of classical swine fever occurring on my property? Do not feed pigs anything that contains or has had contact with meat or meat products. See the webpage on swill feeding for more information. Maintain strong biosecurity on your property. Ensure all visitors and workers use sound biosecurity measures. For your local DPIRD vet contacts, see the webpage: Livestock Biosecurity program contacts. 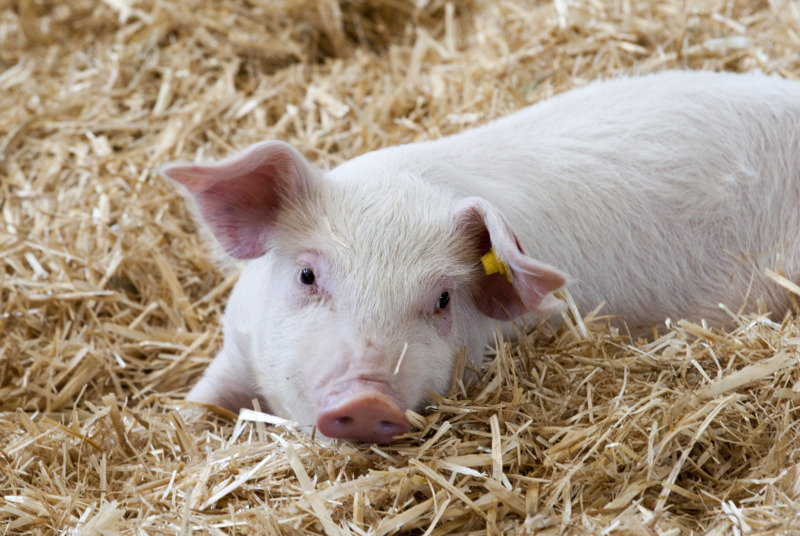 Both classical and African swine fever are reportable diseases as they can cause high numbers of pig deaths, reduced growth rates and production. If one of these diseases were introduced, it would affect pig welfare as well as disrupting our pig meat exports, severely impacting the pig industry. call your private vet or DPIRD vet, or the Emergency Animal Disease hotline on 1800 675 888.